Bluehost Promo Code April 2019 | Real Coupon Code; Save Over 50%! You are at:Home»Deals»Web Hosting»Bluehost Promo Code For 2018 | Real Coupon Code; Save Over 50%! Bluehost is one of the first companies people will list off when you ask them about fast, reliable, and affordable web hosting. If you’ve ever wanted to create your own website, now is a great time to start with because of our amazing Bluehost promo code, which will save you lots of money over time. There are dozens of Bluehost coupon codes out there, so we’ve done the research and are bringing you the best overall deal that actually works in April 2019. We want you to have the best promo code so you can get your website up and running with Bluehost as soon as possible! Bluehost’s best promo code in April 2019 will get you over 50% off during their winter savings sale. I’m not sure how many kids are signing up for web hosting plans, but you might as well take advantage of the offer! 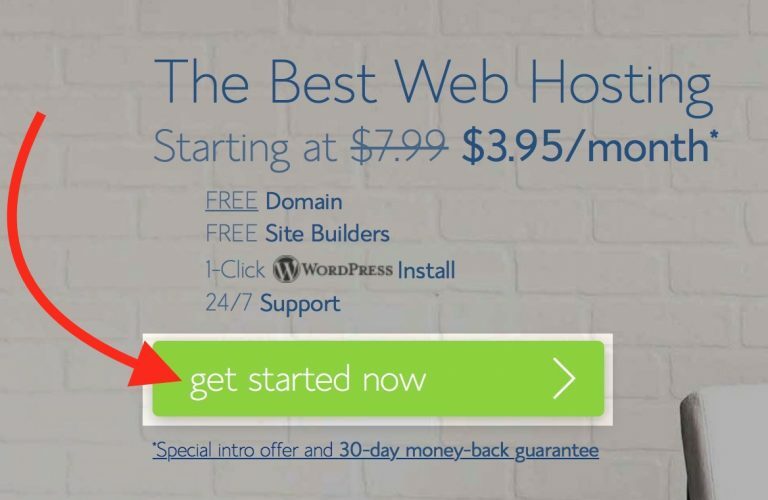 Tip: BlueHost offers a 30-day money-back guarantee. Visit the Bluehost website by clicking this link. Your Bluehost promo code will automatically be applied! Select a plan. This Bluehost coupon code will apply a discount to each plan! Sign up for a free domain (your website address) if you so desire. If you already have a domain, enter in the box on the right. Enter your account information or sign in with your existing Google account. Choose your hosting package. For the maximum discount of 54% or greater, sign up for a 36 or 60 month plan. If you sign up for a 12 or 24 month plan, you’ll still save at least 33%. Check the box to agree to the Terms of Service. 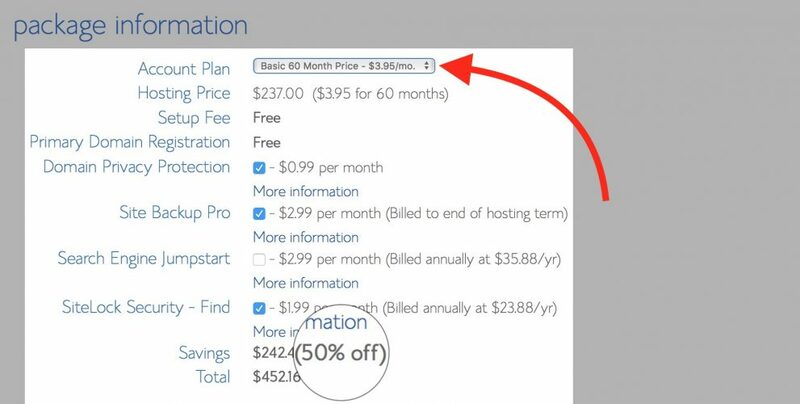 Bluehost offers incredibly affordable hosting plans, especially when you use our coupon code. 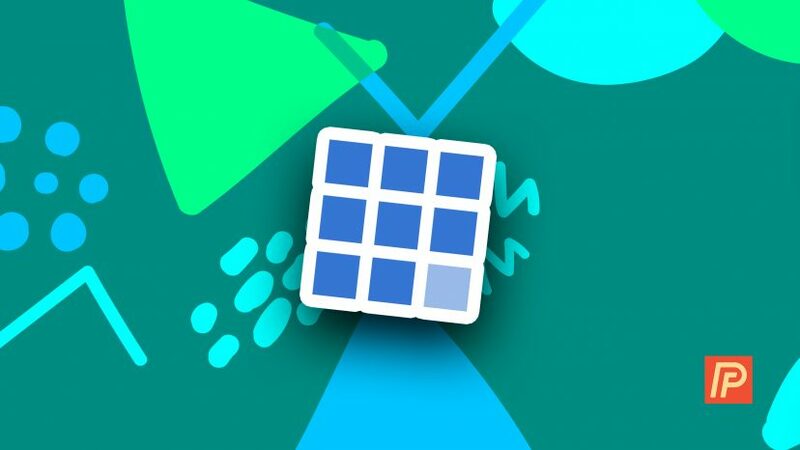 If you’re creating a website for the first time, you probably don’t have a large hosting budget to spend on a company like WP Engine. If you sign up using our Bluehost promo code, you’ll get an already low-cost hosting plan at less than half the price! Bluehost is also known for its excellent customer service, which is one of the main reason’s why this company is the #1 recommended hosting provider by WordPress.org. Bluehost offers around-the-clock, 24/7 support for any problems you may run into. With eight different support categories — Account, Domains, Email, General, Premium Hosting, Products, Website, and WordPress — we know they’ll have the answer you’re looking for. 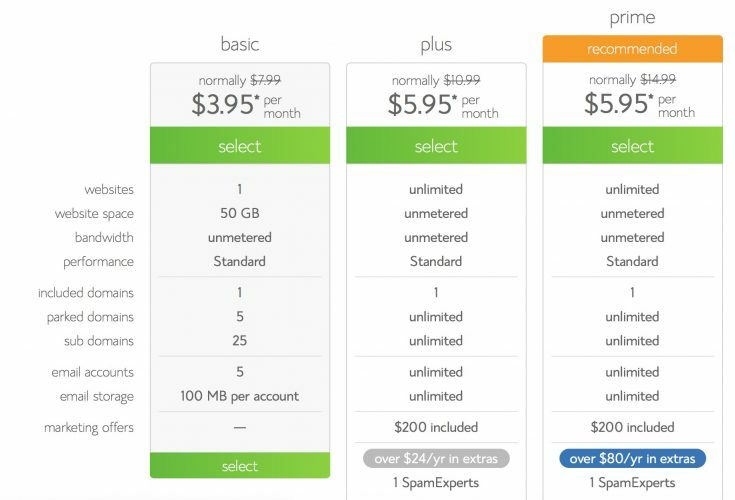 What’s Included With My Bluehost Plan? Bluehost’s web hosting plans include a free domain, free site builder, free one-click WordPress install, and plenty of storage space. If you’re unhappy with your plan, you can always get a full refund within 30 days of your purchase. All of these features, plus amazing technical support, can be yours at a very low price when you use our Bluehost promo code! Although all plans come with a WordPress installation, Bluehost does offer a few hosting plans that are optimized to make a WordPress website operate as quickly and securely as possible. These plans can handle hundreds of millions of visitors every month and include free SSL, which will make your website more secure, and free CDN, which will make your website load faster. Although these plans are a little more expensive than the basic Bluehost plans (which are an amazing deal when you sign up using our Bluehost coupon code), they are well worth the money if your website gets a lot of consistent traffic. Now that you know about our Bluehost promo code that works April 2019, we hope you can find a great plan that will help you create your awesome website. Bluehost is the #1 recommended hosting provider by WordPress.org, so we’re confident you’ll be satisfied with your plan! Red hot savings on One-Click WordPress from BlueHost. Note: We may receive a referral fee from Bluehost if you make a purchase after clicking a link on this page.